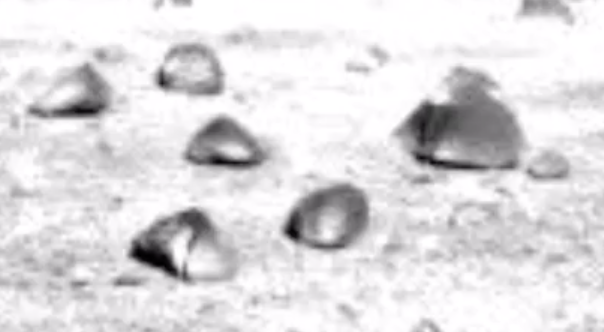 UFO SIGHTINGS DAILY: Living Rocks Found Evenly Spaced Apart On Mars In Many Places, March 2017, Video, UFO Sighting News. 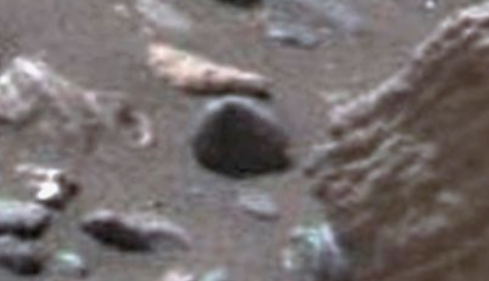 Living Rocks Found Evenly Spaced Apart On Mars In Many Places, March 2017, Video, UFO Sighting News. I have been observing this phenomenon for several months now and am glad Streetcap1 noticed it too. These soft rounded shell like black objects are seen in different places. Often a few near each other, but always evenly spaced apart. Now there can only be two logical reasons for such space. One I like, and one I don't. First, these were moved by some kind of lifeforms, intelligent or not, but its also possible that they move themselves...a living rock that chews at the surface of the soil to make its body, and absorbed the heat of the sun to make more food like a plant. 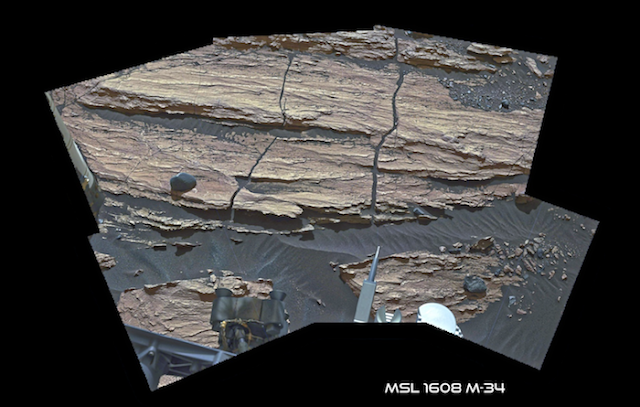 The second thought is that NASA has made a stage set area and set up the area with evenly spaced rocks in the area. You choose which is real, I choose to believe the first is due to the data of the yellow living stones that were removed from the ship in Delporte crater during Apollo 20 mission...they were rocks that bleed liquid. Maybe a medicine of some sort. Below the video I will place some photos from two I found just not to show you. 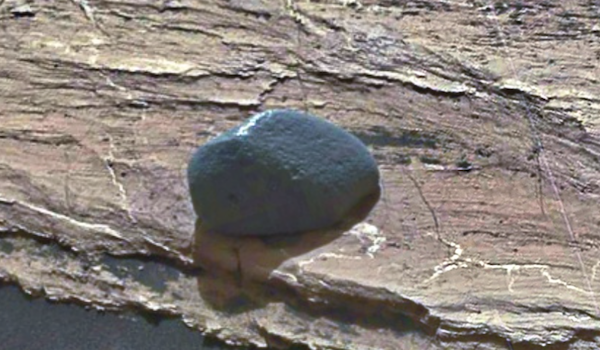 This one below was examined close by the Curiosity rover just this week. If these are some sort of fossils, I would not be surprised. Even some scientists think Mars once had life. Notice on a couple of shots they are sitting in a group or semi-circle quite evenly spaced apart. This immediately caught my eye because of the unusual look. Streetcap1. The rock above was in a different Mars photo from the one below, the two below are from the same photo.